Non-toxic Fade Out Marker. 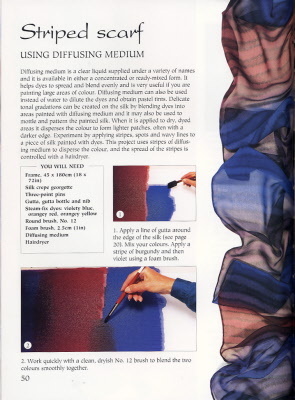 Use to sketch design outlines on silk, cotton and other fabrics. Special ink will disappear on contact with colour, water or on it's own after 2+ days. 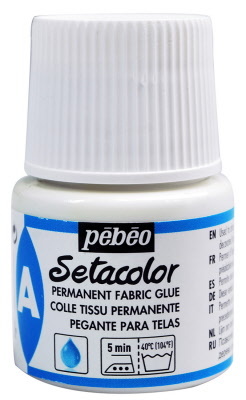 Use with FolkArt Acrylic Colours for a permanent, washable, painted effect on fabrics. Secure pre-washed fabric to wax paper covered board. Mix 2 parts medium to 1 part FolkArt Acrylic Paint. Allow to air dry for 24 hours then heat set before washing. Mix with colours to thicken texture. 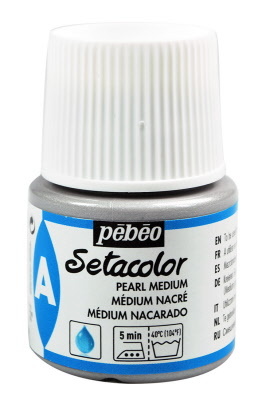 Recommended for screen printing or stencilling. 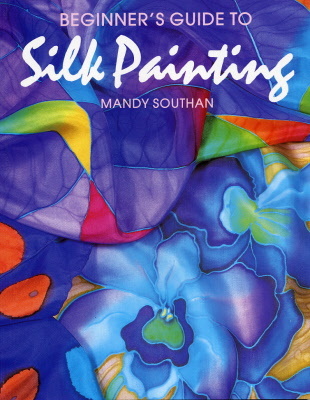 Twelve innovative step-by step projects illustrate Mandy Southan's fresh and original approach to Silk Painting. This book is perfect for the beginner but is also ideal for those who want to learn new techniques. 64 pages printed in full colour. Detailed instructions and step-by-step photographs. 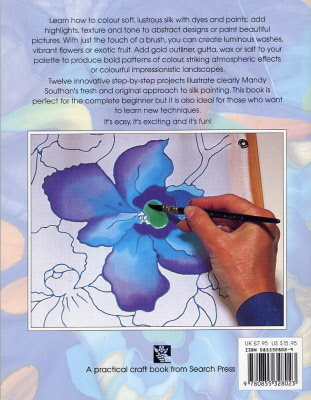 Introductory sections cover basic materials and using colours. 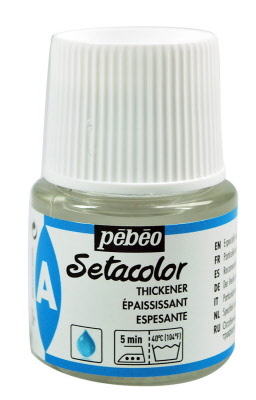 Setasilk is an easy to use water-soluble silk paint which can be fixed by ironing. 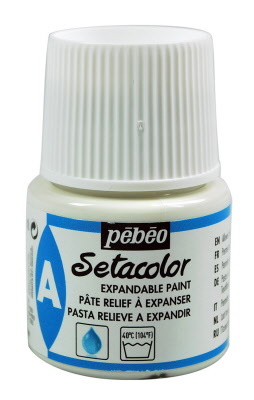 Water based Pebeo Guttas are thick textured and can be used for outlining. 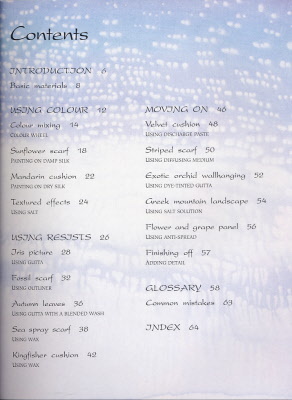 We stock a range of silks and silk items for painting and decoration.